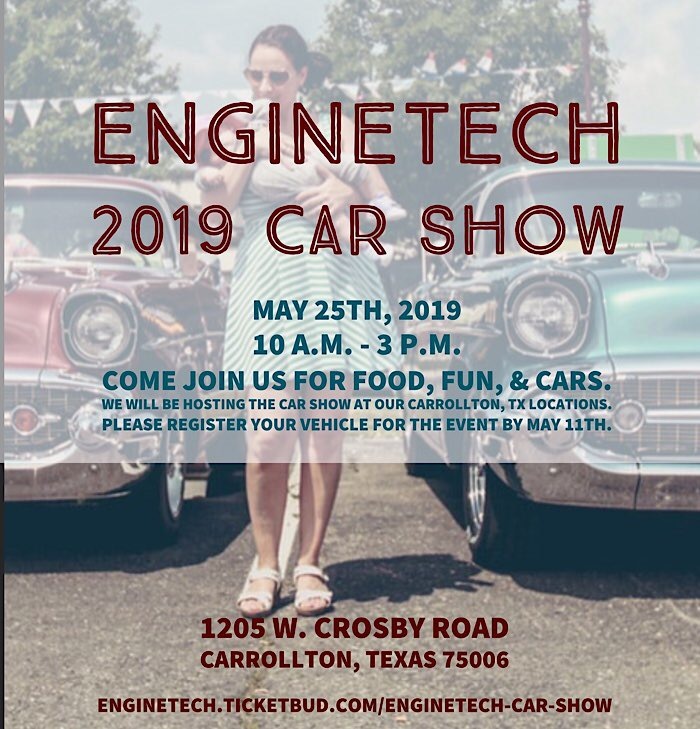 Enginetech is happy to announce that we will be hosting a car show at our Carrollton, TX headquarters. This event is open to all car enthusiasts. The car show will take place on Saturday, May 25th from 10 a.m. to 3 p.m. There is a $10 entry fee for all cars, which includes an event t-shirt. Free general admission, please RSVP for the event.